It’s that time. The event is on the horizon and we pretty much know what’s going to be released for it, though it seems like D&D may be a coinflip at this time. I’m as of this coming weekend putting away my jank and finding my try-hard cap. I think this stuff has been tested long enough to make some judgement calls about what we think we’re going to see and what was good that may need to be left behind. This is, as far as I can tell, where things are and where they’re going. I’d like to see what everyone else has to say. This seems necessary to address first because the Runner is really defining the game right now, imo. The big threats in the room are: Kate’s PVP econ and accompaning toolbox and Noise (or any runner) with faust. There are still decent criminal builds and there are some edge case anarch builds such as Valencia, but for the most part it seems the main two threats this year are going to be Kate & Noise. Val, Andromeda, Leela, and Geist should be considered tier 1.5 but the other runners aren’t making any particular showing. Horses I’m not betting on, that are good in the hands of a very skilled pilot will show up, but I’m not counting on any of them winning. I’d put Gabe, MaxX, and Kit in this list. The threats a good runner deck has to be able to deal with are: scorch, a quick rush deck, and the shadow of FA that’s still around. And that’s mostly because both Noise and Kate leverage an amount of disruption either through econ or total number of accesses that I think both midrange and glacier are being squeezed. Kate’s slots are very tight these days, though camps have split between QT which is needed for the FA match up and ProCo which was better, potentially, for the world of RP. We’re probably going to see film critics out of most Kates to keep both butchershop and RP in check. And clot will keep NEH and HB from “just” winning. I think we all know who’s running this gal, @spags. Noise is just simply said becoming a beast. The pseudo randomness of aesops is his biggest weakness, but faust has made up for that by allowing the remote to be pressured with only wyldside available. That makes HB a little more valuable as a meta call as you’ll have access to ash and turing, which makes the rush remote game a little more likely. Still, some games noise will just take. Noise’s popularity is the strongest argument for FA in today’s meta. Being able to find and score out quickly is the safest path to victory against such a runner, but guarding against parasite and the medium dig, or a clot off of a peddler are going to take some serious chops. The other runners on the finge are mostly doing the economical denial thing because most of the decks designed to beat Kate and Noise aren’t specialized against Criminal and can be weak to siphoning, which goes well with Faust when he’s around as you’re likely to not have to pay into to credit boost. Multisucker Andromeda is decent and consistent, which has always been Andromeda’s game. Having a consistant econ engine isn’t enough these days, but the deck can put some serious econ pressure on and can import film critic to do well against RP. And that means money vs scorch and now having to deal with FA. If a player can solve the FA problem for Andromeda before worlds, there’s a pretty good chance blue can rise again on the back of the same old runner. Geist is a rushing beast at this point with serious econ denial chops and card access like none other. The built in damage protection is nice too for jumping up in handsize if they do come after you. Geist is mostly hated out by big ice builds, but very few decks can sustain this vs crescentus and shutdown which any good Geist player runs. Leela. You can change your play to hurt Leela, but a good Leela player knows how to use that to her advantage, appropriately sniping before jackson clears and the like. She can’t be discounted, especially when piloted by the likes of @aandries or @Cerberus. But, she’s not had consistant tournament results so I’m hesitant to tech directly for any thing she’d do. After all of this, the only thing worth mildly considering to deter these 3 criminal runners might be crisium grid, but you’ll find it a poor card vs Noise or Kate making Criminal a solid call on the whole. The other thing is that with RP slowing it down a bit, lotus has been out of the picture. Yog is a perfectly fine breaker at this point for any runner as you’ll likely only see 1 lotus rezzed a game. It’s going to be interesting seeing almost nothing but Noise and Kate in a room, but that’s what I’m expecting and it worries me because I’m pretty bad against Noise. If D&D drops there’s a caveat, of course. And that caveat, imo, is Sunny. There’s a good Adam build out there too, but either of those decks could make a showing and disrupt you if you haven’t had plays. Sunny just has solid econ. And Adam’s early game makes him pretty good against event based FA. Adam is really really hard to keep out and that HQ interface means double icing HQ or picking ice with enough subs is a proposition you’d better consider. I don’t know if there are any people who have made these runner’s pro-enough, though. At the moment, I’m planning on dealing with them when I see them and not doing to much with tracers and making sure I have a bit of ice that’s good against this style. RP isn’t dead yet. Caprice is too good. MK II is too good. There will be RP and it will still have the TFP in it. I don’t know what the agenda composition is going to look like, my guess is that it’ll be a bit more like what won worlds last year. I was playing it a bit over the summer and both Komainu and Tsuguri had gained value. I don’t know yet whether tricks like Team Sponsorship are going to matter for this match up or whether really anything of value came out in SanSan. My inclination is that it didn’t, that the only card that affects RP affects it negatively. And that of course is the critic. Those brave enough to still run this deck are still going to be piloting one of the most taxing consistant corp decks around. It’s just not going to be uncontested wins the whole day. NEH isn’t dead yet. Clot came in like a lamb and went out like a lamb. Card is still good, but a lot of people are questioning its slot. Fast pace runners with plenty of multiaccess hits can still win without clot and the specter of the card does work. But we’ve seen this ID at the top for a long time and I don’t expect it to go away with sponsorship and other goodies that came out in that final SanSan pack. That said, I see the meta shaping up to hate out the remote game again. Imps, Whizzard and Scrubber all seem to be finding their way back into decks, so the remote spam game is going to be hard to rely on, which means event based decks probably have some advantage. Redundancy will be required at the minimum. NBN now has several must trash cards now: Team Sponsorship, DBS, and SanSan City Grid. If you don’t have assistance it makes those drip targets harder to hit, but hitting the drip can make the other cards harder to use. It’s a game call and clot may be enough. 2x Virus Suite seems mandatory. Butchershop will probably be around, but film critic makes that hard. I expect a good player will pilot this up, but most others will find themselves in the bottom half. Early losses at worlds could mean a day of nothing but noise mills and scorches. What hell that would be. If D&D drops, butchershop will be more threatening than ever since a scored breaking news can be triggered simply by forfeiting an agenda. This is a huge threat to both of the major archetypes as they have decent, but not good scorch protection, relying mostly on preventing scores and maintaining monetary advantages to win out. If D&D drops we’ll see more “variety” out of NBN, by which I mean potentially more tag storm; but whether that’ll be any good, I’m not sure. Sync seems to have the most legs to me of the new IDs since Haas-Sol isn’t a deck. Blue Sun? - I don’t know where this is right now. My sense is that most players have moved on to rushier variants using either Titan or Gagarin to pressure early scores and scorches. @bblum will probably show up with something green, and it’d probably be the Sun; but, there’s something here. Jinteki - Not RP Hard to say what’s going to be here. IG will certainly appear, but its frowned upon because of timed wins and losses. There will be some PE, though PE’s game is hurt tremendously by Apex and Noise. I think we’ll see something, but it’ll be an underdog if it appears. I know of no other viable Jinteki decks as of today. Clot pretty much ruins Tennin. Nisei and other jinteki id’s seem even worse since they can’t rely on TFP. HB back in the House I think HB was discounted for a while, but between access to sponsorship, breaker bay grid, and just a very solid ice package that doesn’t like AI’s all that much I think it’s a good place to be. You can rush or threaten to blow up rigs. Batty is pretty nice here, and caprice has finally made her way across enemy lines. Red Coats is probably a bad call in this meta. Kate probably doesn’t care and noise could cause real problems. But, it won’t be bad vs criminal if blue rises up a bit. Hybrid and FA archetypes seem the best, though there’s been some interesting developments in ETF lateral of late. Sponsorship recurring Ash is particularly gross. I don’t know who will take the tournament. My money is probably on a Red deck winning this year with whatever corp gets them through the swiss. Thanks for the thoughts - an interesting read! I hadn’t even considered that D&D wouldn’t have been released for world’s, though. Guess if there’s a port strike or something? Clot still sux. Kate is really hard to beat, and Noise packing 2 Clot is quite tough, as well. I had 5 games where I scored 2 agendas from hand/deck to win. TS allows for that kind of blowout finish, but, the deck can be quite fragile, as well. RP is still good. Food only makes it better. That’s the question. Does it actually ship on time. Every other delux hasn’t dropped for some time after the cycle before it finishes. It’s supposed to, and maybe it will… but, with worlds beginning Nov 4th, it can’t miss its window in October or we won’t be seeing it. We’re just a bit more than a month out at this point. Food > TFP or with it and no NAPD? I haven’t been following this one closely. I’ve been playing Gabe recently–it’s been working quite well. 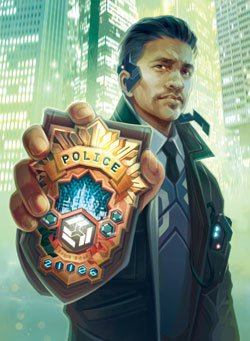 Corps aren’t used to having to rez HQ ice early against Criminals–you can’t let Gabe get those free credits each turn. So that slows down the FA game. Then you have to worry about archives ice for the eventual Sneakdoor. And then getting a second piece of ice on HQ to continue to protect against Siphon and keep Gabe out. NEH generally has pretty easy ice to deal with, so I’m going to be testing Gabe for a while. Also–Drive By has been awesome in Gabe! I think you sometimes stuff something into a remote server while you are trying to get set up against his aggression, but he can get that right out of there by calling in a gang strike. Also #2, sweet sweet Faerie. I’ve missed you, old girl. I think the DLR decks will be played a lot and in D&D isn’t out even more. Valencia, in the right builtds, probably tier 1 by now. Oh the Jinteki end, Chronos Protocol and Biotech greenhouse are at least tier 1.5 and will slay, at this point, probably as much as RP, though they aren’t played as often…I expect to see a bit of both. Expect D&D IDs to show up and do well: meaning Sync and Spark. If any new runner ID makes waves it’ll be Adam. Noise/NEH will win, the end. I found out how much an early House of Knives score in Chronos Protocol destroys the DLR plan. IAJS. Sure, but how playable is Chronos Protocol overall? So far I am rather sceptical. It will be interesting to see how corp decks will be able to tech against the DLR cheese while staying strong versus other builds. A single Freelancer might help, and I think Sync might have some good game against it, depending on how much resource protection the runner can muster. Very. Less for flatlining ever, more to snipe pieces and leverage that to score out, manipulating the runners clicks and econ about as much as RP can sometimes. And with more teeth. Very good analysis of the current meta. I think a lot will depend if D&D will be legal and I hope we will know very soon. It won’t affect Runner meta so much because I don’t believe any mini factions are tier 1-1.5 instantly out of the box. Also new factions need a lot of testing making them a bit risky choice. Multithreader is the card we will see most and it will make especially Andromeda much better. Otherwise D&D might not change the whole runner meta so much. D&D feels more impactful for the Corp. Global Food Initiative is the big question if it makes Glaciers better. I can even see 3xTFP/GFI Medtech being tier 1. Also there are very strong NBN cards (Archangel, New Angeles SOL, News Hound) which creates totally new decks. Corp after D&D is still a mystery. Without D&D I agree that runners will be mainly Noise&Kate with some other Anarchs and a few Criminals. Noise is maybe the most powerful runner now and I can imagine especially some middle tier players bringing him because he can win some games just being a Noise. Number of criminals might rise if Corp field is expected to be almost only NEH FA&butcher and HB. Corps I expect being mostly HB and NEH. RP can have a big problems with time, random losses against Noise, unlucky Vamp matchups and Film Critic. Worlds is so tiny cut (is it 16 again or something crazy?) so you don’t want to risk any game going to time. I feel Runners are stronger now than Corps so bringing Corp deck which can just win with a good hand can be good choice. If Corps feel more underdog then it’s better to gamble more with the Corp side. NEH FA and Butcher can just make Runners lose with a good draw and they allow more time for other match. By my experience Butcher is a bit noobkiller deck which gives easy wins in swiss but fails to deliver in the elimination rounds without a good draw. I expect NBN being about 40% of all corps decks with maybe a little more FA than Butcher. HB toolbox FA/Ash has maybe always been the most underrated deck and is maybe weakest against Criminals but having a good match up against Kate and Noise. My current build is 2 food, 2 tfp, 3 nisei, 1 napd. You need 3 agendas to win and the runner needs 4. Get the influence by dropping a booth or ichi for an assassin. 2 free points vs 2 points that cost 4. maybe the place where you dont really have to have that tempo hit is HBFA? I just got back from the GLC finals, going 4 - 1 with Desperado/Scrubber Valencia. The only game I lost was neck and neck until an ABT resutled in 5 cards being installed. Valencia with the right build is absolutely tier 1 and IMO more consistent than noise since you can afford to run often early instead of mull for aesops or wyldside or basically lose. FFG OP confirmed D&D would be legal at Worlds quite a while ago. I suppose there could still be a port issue that changes that though. My assumption is that D&D is on the same boat as AGoT 2E, which they announced would be available October 15th. It’s just an assumption, but it seems like it would be unusual for these two releases to be ship right around the same time but on different boats. It also seems unlikely that they would announce a specific date for the AGoT 2E shipment if there was significant risk at this point of it slipping. Great, none of the Spikes are going to try to win now that they know the winner playmat is Apex. Sweet NAPDs though.